You can put on a fancy suit and act professional if you are looking for a loan, but your credit score is the first impression that you give as a borrower. Whether it is getting a credit card, a personal loan, or a mortgage when it is time to stop renting, your credit score will determine the amount of interest that you pay each month, that can add up to thousands a year. Whether you have had credit troubles in the past and are starting over, or you are just now old enough to start your own, you will want to build up credit and show you are able to handle the responsibility to repay debt. A great way to get your social security number out there so that you can start to build up credit, without having to go through the approval process, is getting added as an authorized user to an account. The biggest downfall with this though, is that the person adding you really needs to trust you, as your activity will affect their account, so any misuse on your end and the account holder could have their perfect credit tarnished, so maybe it’s a good idea to not get one of their credit cards, but merely just be a name added. The types of debt you have can determine a portion of your credit score, so it is a good idea to spread the debt, if you will. 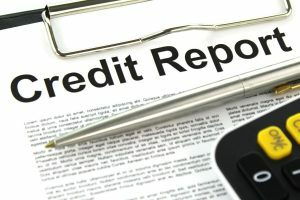 You could use a credit card each month, pay on an auto loan, and eventually repay your student loan, at which all of these accounts would start to build a credit history, so just make sure that every account is paid on time each month, and you will continue to see your credit score rise, as the score is now included in most account statements. If you are having trouble getting approved for credit cards, you could try a retail store card, at which it may be a little easier to grant approval, would only be for that specific store, and with a small limit to start out with, you can use and pay off each month and you will start to see your available credit rise and may be enough to start a credit history to be able to get a look from other creditors. Being responsible with your debt is the most important, so in order to build credit and stay out of debt, you will need to limit spending, not going on shopping sprees because you have available credit. The full balance should be paid each month, so that you can avoid any carryover to the next month and begin to pay interest on. If you are just starting out, the APR on those beginner credit cards are probably north of 16%, so any balance you do not pay in full, you will get hit hard with interest charges.